Ferrari World sounds like some kind of cheesy car dealership, doesn’t it? As it turns out, Ferrari World isn’t a dealership for expensive Italian supercars, it’s a brand-new theme park opening up in the Persian Gulf oasis of Abu Dhabi. Ferrari World Abu Dhabi is the world’s first theme park dedicated solely to the Ferrari brand, and it’s also the largest indoor theme park in the world (or will be when it opens officially in October). Developed by ProFun Management Group and Aldar, the defining feature of the park is its roof, which is a staggering 200,000 square meters (or about 124 miles). It draws inspiration from the curved sides of the sleek Ferrari sports car, and features the largest Ferrari logo ever made. Within the park, the stand-out ride is the world’s fastest roller coaster, capable of simulating the 240 kilometers-per-hour (150 miles-an-hour) speeds of a Formula One race car driven by champion Fernando Alonso. That’s appropriate, since the theme park is on Yas Island, right next to Yas Marina, which is the circuit for the season-ending F1 race the Abu Dhabi Grand Prix. 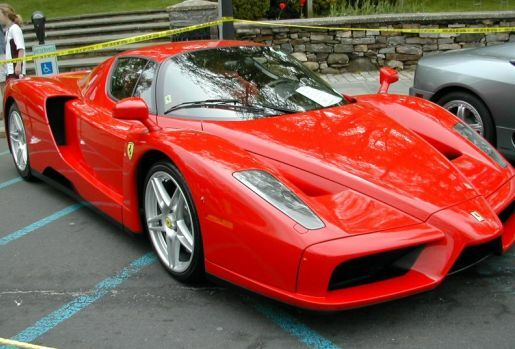 However, just because you’re getting Ferrari thrills, don’t expect Ferrari price. “We give you the brand and our interpretation of the brand Ferrari, but we are not going to give it a Ferrari price tag. We are going to give it a very affordable price tag,” says manager Alex Keeling.